Zippers are vanilla - make them less plain with Space Invaders! 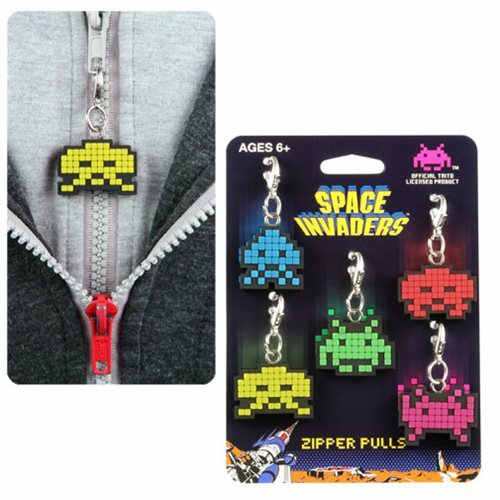 This Space Invader Zipper Pull 5-Pack includes five zipper pulls made of durable co-molded rubber. Each pull features a different alien design! Ages 6 and up.